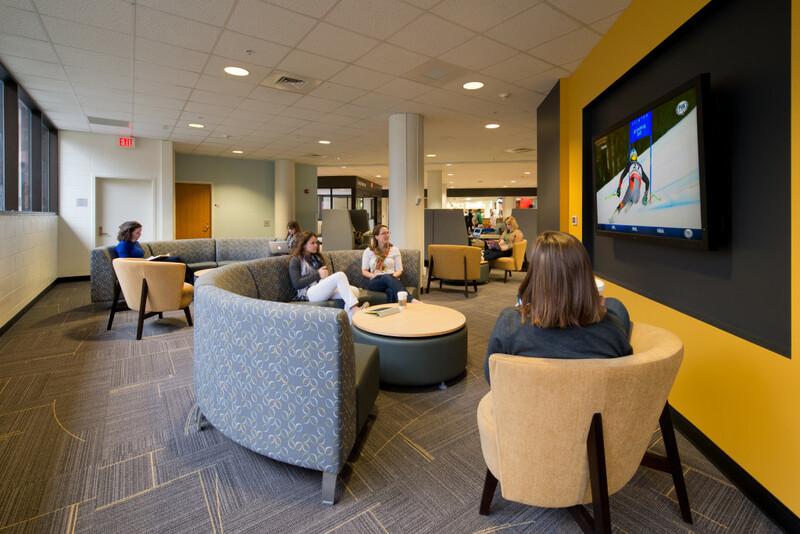 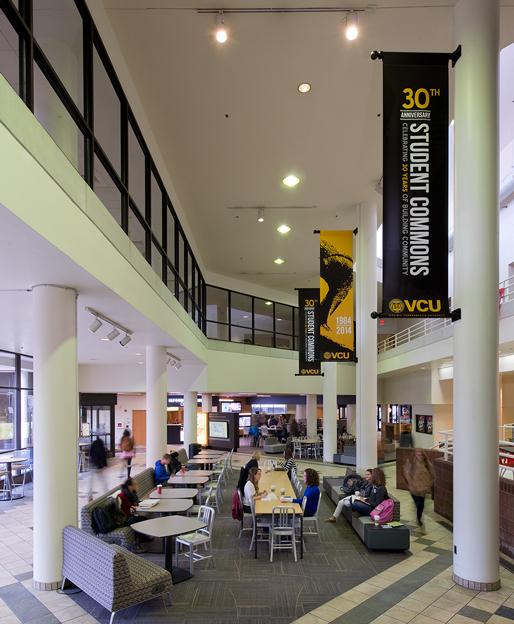 For the VCU Student Commons 30th Anniversary, KSA updated the interior to better align with VCU’s brand identity and to establish a hub of activity around an improved information center. 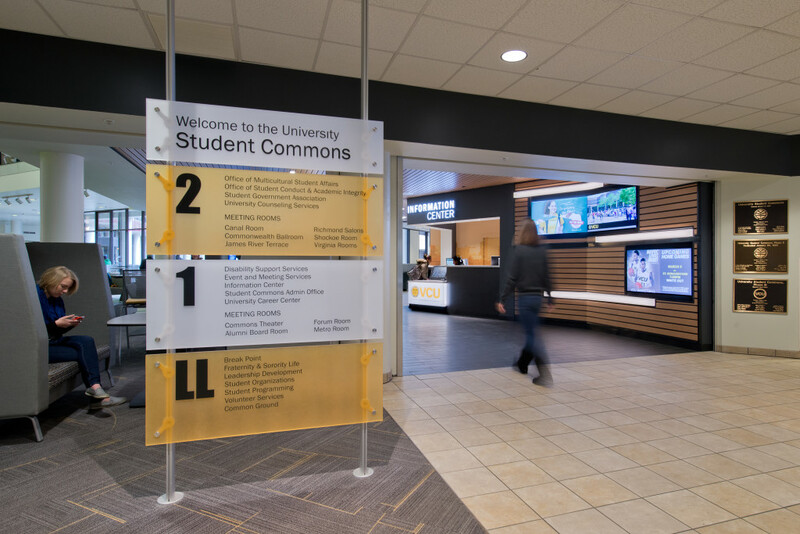 The new space contains four distinct areas: the central expressway, the theater lounge, the overflow café, and perimeter focused seating. 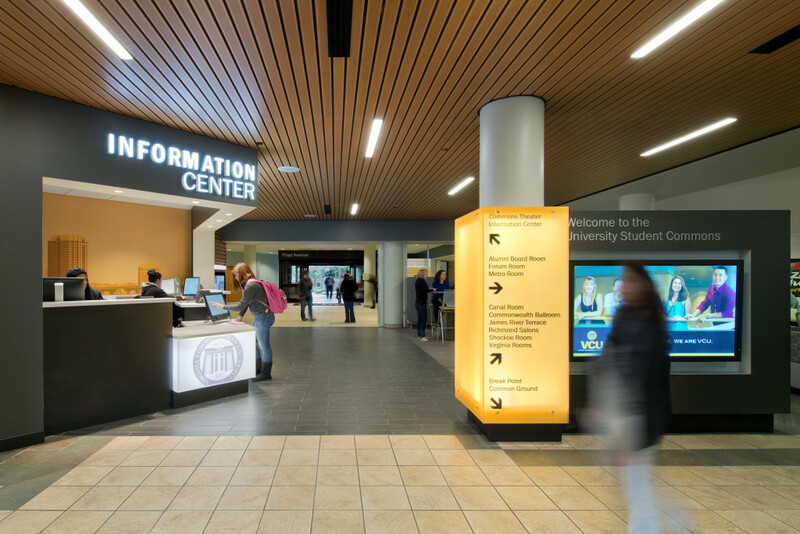 Each area creates an experience suited to specific modes of work — creating a multi-functional space that is aesthetically cohesive.